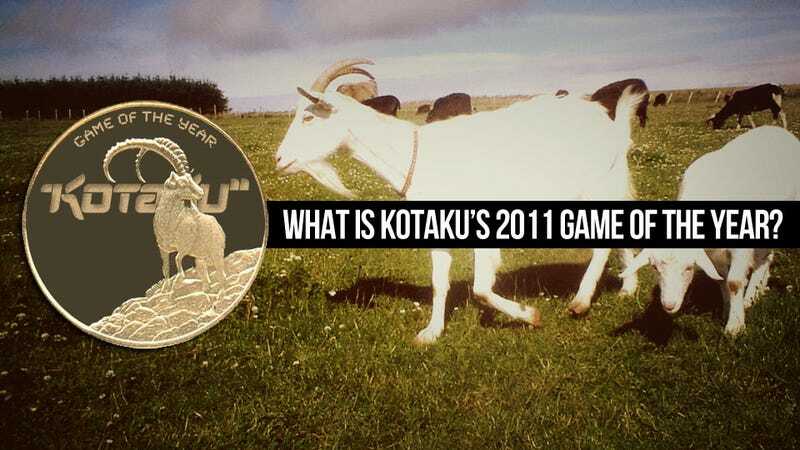 Who Will Win Kotaku's Game of the Year 2011 Debate? What was the best game of the year, according to those of us here at Kotaku? Throughout the week of December 26, we will present five Game of the Year arguments. Five Kotaku writers will present their case for GOTY. Others on the team will respond. Long time readers may discover that the arguments contain a special treat.